Yesterday when we introduced our new women’s patterns I mentioned that I want to tell you about each of them in greater detail. 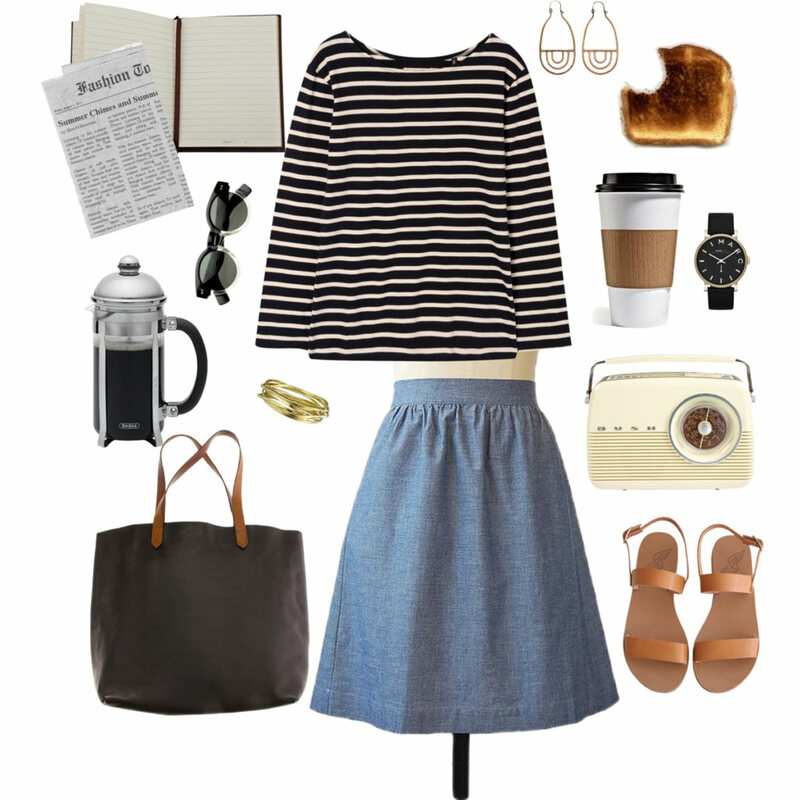 So let’s start with the Everyday Skirt, shall we? When we release new Oliver + S patterns each season, we hear from many of you who say, “I want to make that for myself!” And I think you’re right that a surprising number of our patterns would translate well into women’s apparel–but only with some changes. 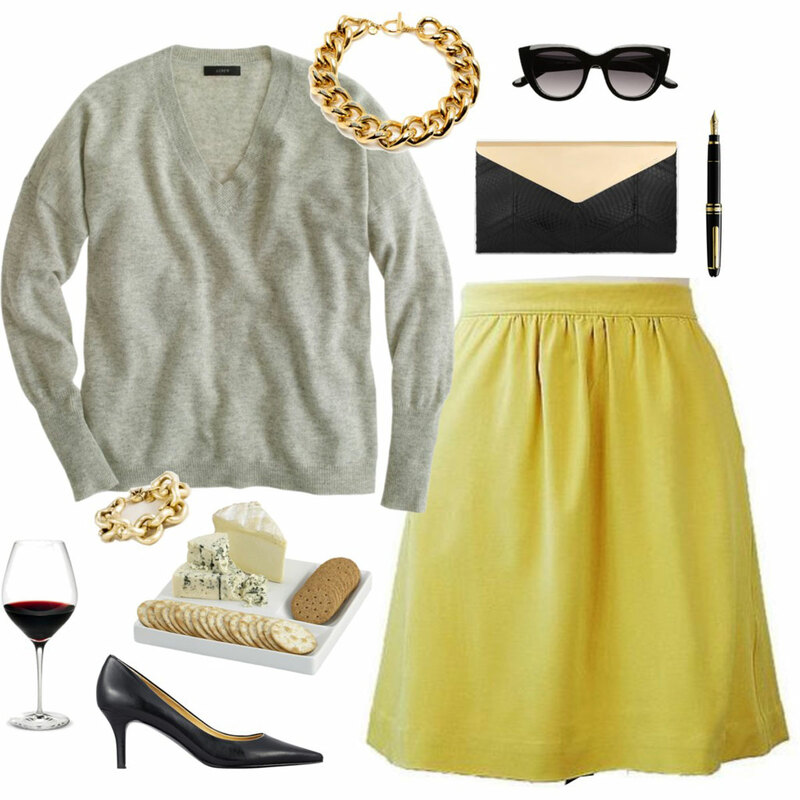 Take our free Lazy Days Skirt pattern, for example. It’s such an easy, relaxed, appealing style for kids. But if you tried to make it for yourself you would notice that it’s not as flattering on a woman’s body as it is on a kid’s. 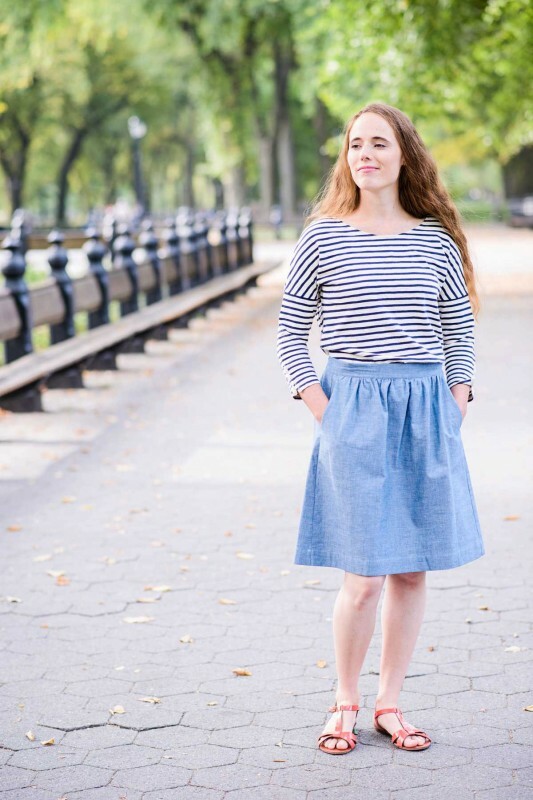 But the Everyday Skirt is like a grown-up version of the Lazy Days Skirt. We made some changes so it would be more appropriate for women’s bodies, and the pattern still retains that easy, relaxed feeling as the Lazy Days Skirt but now it also looks good on you, too! Here’s what we did: we gave this skirt a proper flat front waistband to keep the waist smooth and to give you a smooth line. There’s a small amount of gathering at the waist, but it’s not terribly full so it doesn’t add a lot of volume. We also added a smooth side panel, since that also helps to give a smooth silhouette and doesn’t add bulk at your hips (because who needs extra width there?). And of course we all want pockets, so there are some really useful front pockets that are nearly invisible and are extremely easy to sew. Of course it’s nice to avoid buttons and zippers when possible (especially since this is supposed to be an easy skirt that can be sewn by beginners, so we don’t want anyone getting stressed out over closures), so the back waistband is elastic to allow you to pull the skirt on and off. There are two elastic casings that help to keep the back waist flat and keep the skirt feeling really comfortable and easy to wear. When it’s all finished, the result is a nice-looking, polished skirt that’s also very comfortable and surprisingly quick and easy to sew. Really quick and easy! 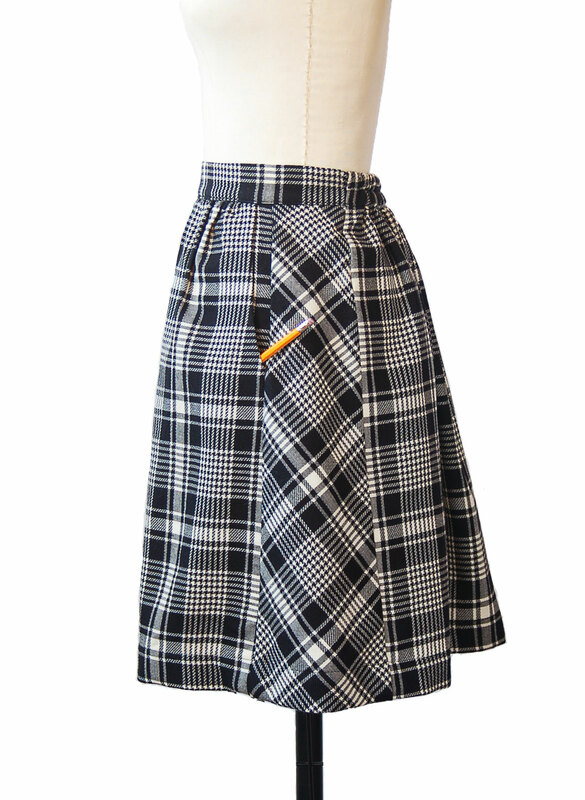 For this black and white wool plaid version of the skirt we cut the side panels on bias, just for the fun of it, and I think it turned out great! 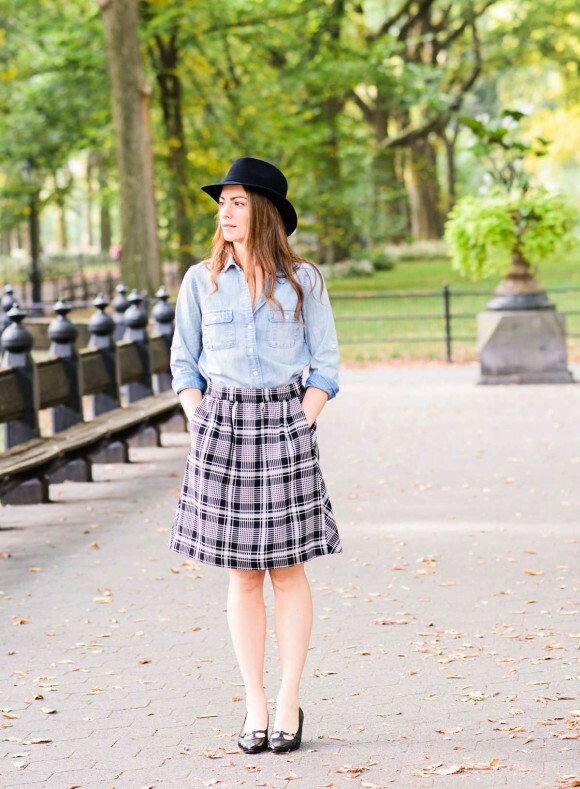 And I don’t know what I’d do without a chambray skirt. I wear them all year round. It’s the skirt equivalent of blue jeans, I guess. And for spring and summer? Prints of all sorts, just like the Lazy Days Skirt. I’m waiting for a floral cotton to arrive so I can make it up, and I’ll be wearing that skirt year-round, but especially in the spring and summer. I also made the skirt in linen and wore it all last summer. And we made it in this polka dot Japanese double gauze, which is completely adorable. In summer you’ll be able to wear this skirt with a T-shirt or little blouse and sandals for a really comfortable, easy summer look. I think you’re going to have fun with this pattern! I can’t wait to see what you do with it and how you style it up. You can get your copy of the Everyday Skirt pattern now in the Oliver + S shop. Thank you very much Liesl!!!! Wow, I love this skirt. And I loved reading all the details about how this skirt was made and the simple womanly details. Are plus sizes going to be available. It is really hard to find cute, fashionable patterns with great instructions. I LOVE this skirt and want to make it. Unfortunately my hips fall 1 size larger than the pattern. Do you know about how much ease there is in the skirt? Or could you share what the seam allowance size? Often I find I can sew a size down or add a smidgen to the side seams and it still fits. Thank you so much. 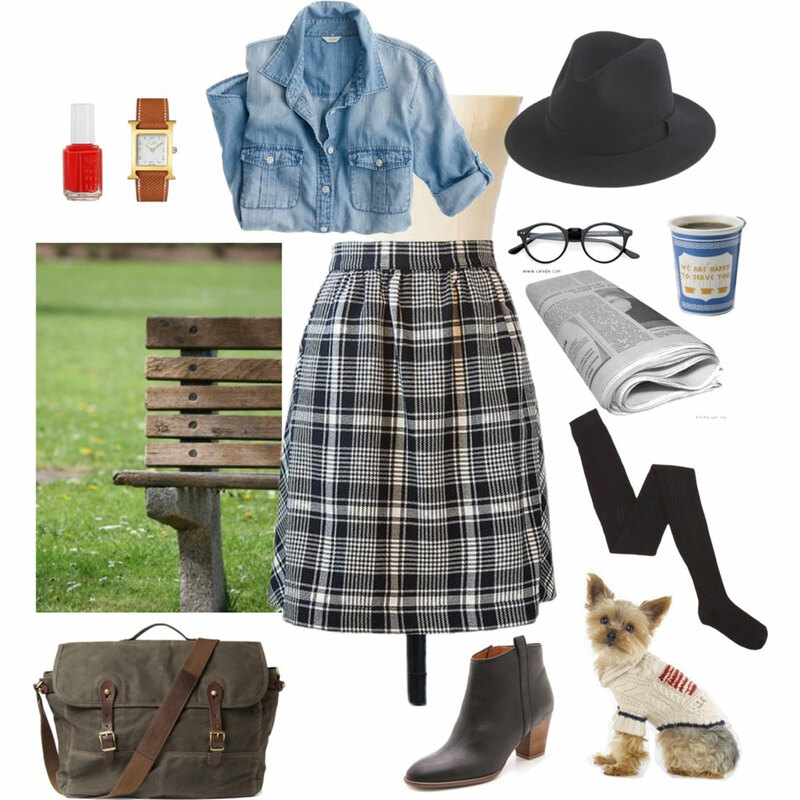 Love the skirt and am already planning multiple versions! I was wondering if you could do a post on how to attach a lining to the skirt. I’m worried about being able to wear them with tights and having them ride up. I would absolutely love to plus sizes at some point! Right now I have a bit too much on my plate, but it’s something I do hope to add to our pattern collection someday. (We need more hours, more hours in the day!) We’re growing one step at a time, so give us a little time and we’ll see what we can do! Ginger, if you look at the finished measurements on the web page for the skirt you’ll be able to determine whether it will fit. 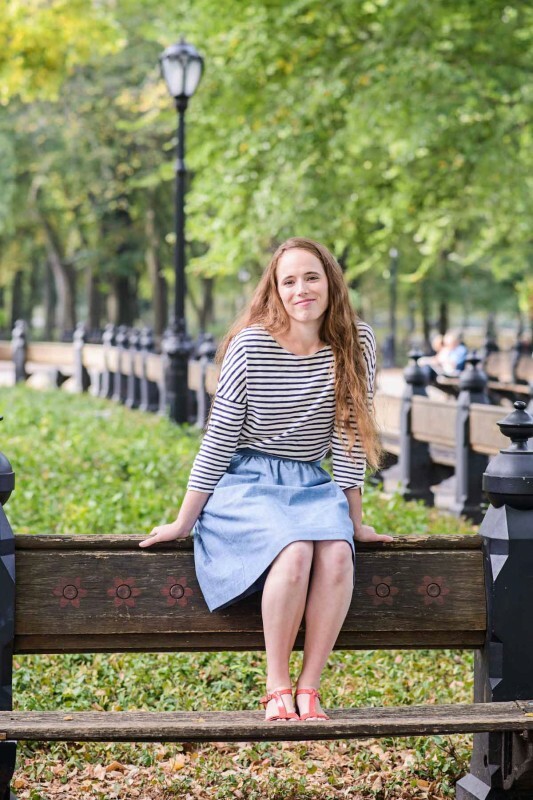 There is a bit of ease, and the skirt is designed to sit below your natural waist, so you may very well be able to make it work if you want to wear it at your natural waist! 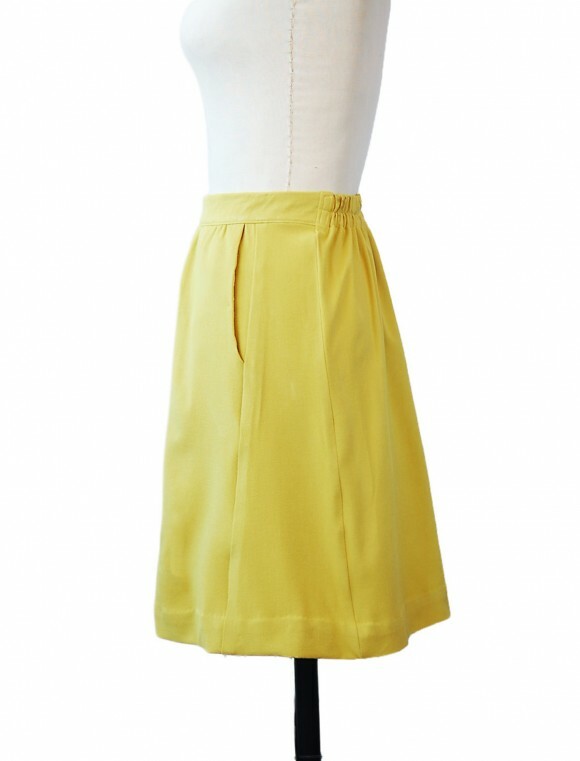 Arellis, because this is designed to be a very simple and easy skirt,we didn’t include a lining. The construction method would make it rather tricky to add a lining and it would also add bulk, so keep that in mind. The two wool skirts we made have been really comfortable to wear, with no riding up, so if you pick your fabric carefully I don’t think you’ll have a problem. Just don’t choose anything that’s very itchy! Another solution would be to make/wear a simple slip. I hope that helps! OK, I will make a slip if it turns out that I need one. Thanks for the quick reply! Love this pattern! Where did you find the white fabric with the blue dots? 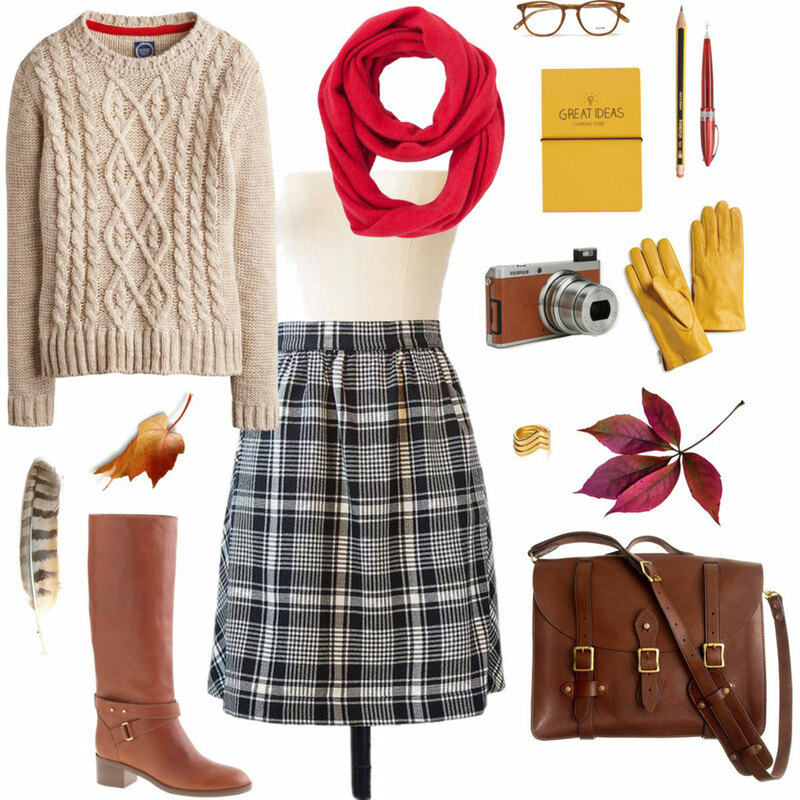 I would love to make a skirt like this for myself. Will there be a blog tour or more tester photos? I love this skirt and would like to see it on a body type similar to my own. I love, love this skirt! I made one today, it is such a quick sew and oh so comfortable! Well done, Liesl. I really like what you’ve done with this, Liesl! I may need to finally get some boots to wear with skirts. Cannot wait to make this skirt!! Ok, I am dying right now over these!!! Where can I find that plaid wool! I NEED this in my life ASAP! This is so great! I love all the details. I am desperate for a maxi skirt out of a woven – do you think by extending the panels down (and widening accordingly at the bottom) this could also be used for a floor-length version? Kate, I think it probably would. 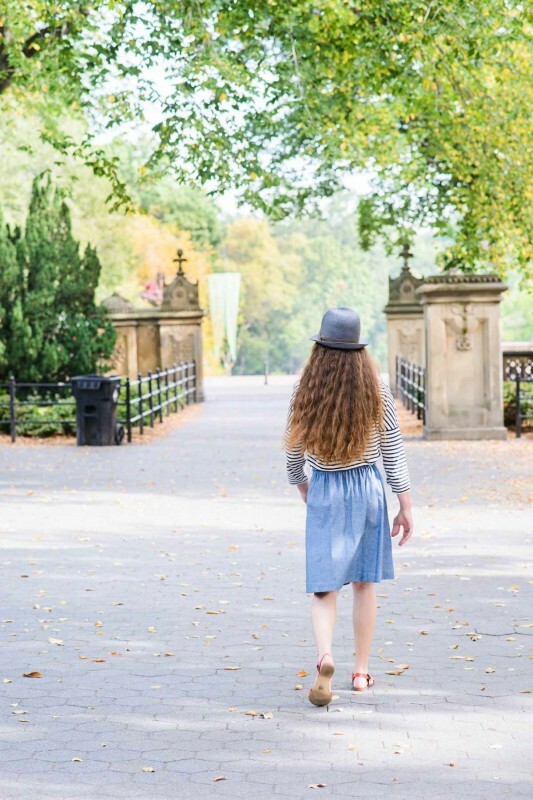 But keep in mind that you’ll need walking ease so you’re not getting tripped up in a narrow skirt. I can’t remember the minimum amount of fabric that’s usually recommended for walking ease, but as long as the skirt is at least wide enough for a natural stride you should absolutely be able to alter it to whatever length you like. Should be cute–be sure to post a photo if you make it! Can you tell me where to find a similar version of the black and white plaid fabric? I’ve not had any luck with my online searches. I love this pattern–can’t wait to make it! Will you be releasing this (and/or the cappuccino tunic) as a paper pattern? I’ll force myself to wait if it means forgoing the printing/piecing. 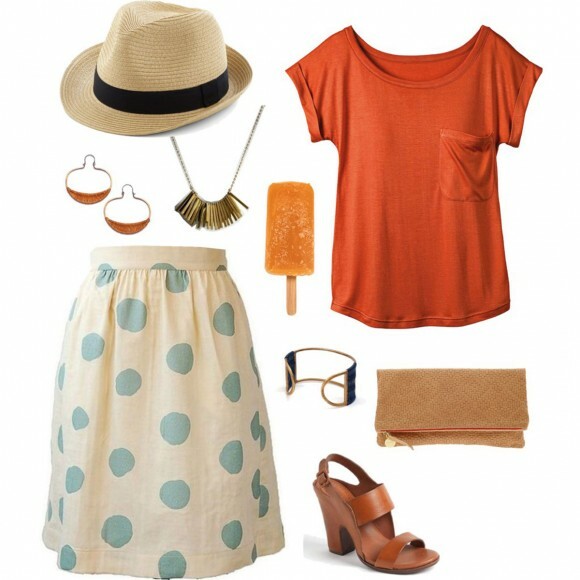 This is such a perfect skirt pattern! 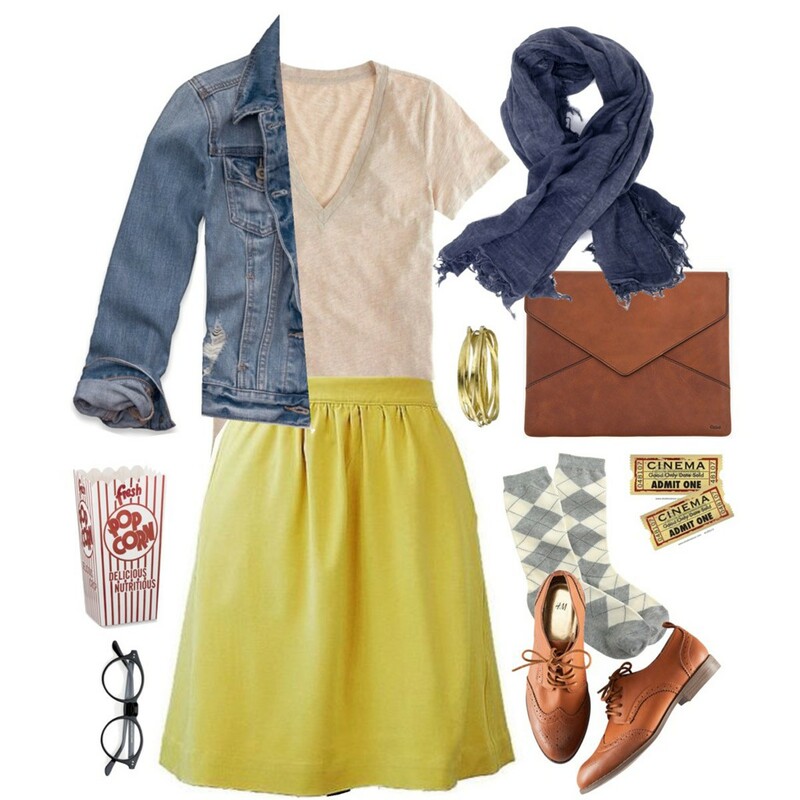 Very easy to follow, and I LOVE pockets. They fall beautifully and the fit is great. I bought a skirt from Eddie Bauer that I loved, because it had pockets, and have been trying to re-create it for months. This does it even better! Thanks for the great pattern! I too would LOVE this in plus sizes–especially if it went up to size 30. My coworker has made about 5 of these, and I want one too! Can this be altered for a plus size?? Also, I noticed a previous comment and do you plan to publish a plus size version???? Is the newer version of the Everday Skirt the same as older version? Have just the pattern covers changed? I made it once last year. It was a little full for me, but think I needed to size down. But just did not know if the newer one was different. Would reorder if so. Your digital patterns are the best to assemble I have ever come across!! Alyson, it’s the same pattern–just a different cover image.